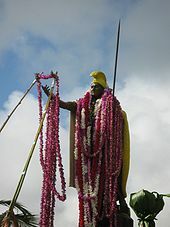 Most often referred to as, Kamehameha the Great, Kamehameha had a great intellect and was able to unite the warring Hawaiian Islands during his reign. He was able to use both warfare and diplomacy, using foreign advisors and foreign weaponry to his advantage. He always listened to the advice of diviners, orators, kahunas and men of skill. He ruled from 1795 to 1819 as an absolute monarch. He appointed representatives from each island that he called governors and brought to the island public order and peace. This is why he was referred to as an uniter of the highest order and still revered in the hearts of all Hawaiians.